The sequel has been well appreciated by the audience and opened with an excellent response at the worldwide BO. Trade analyst Taran Adarsh tweeted that the viewers across the nation and in part of the world had welcomed the flick with a huge response. So, it will enjoy garnering moolah from the international markets too. The film release today, June 24, Friday. Rohit Jugraj has directed it, and it stars Diljit in a double role along with Sonam Bajwa and Monica Gill who are the two lead heroines in the film. The prequel was a fantasy drama, but the sequel isn’t. Diljit is seen in a farmer role. The prequel was also well appreciated by the audience worldwide and got the expected opening. The first installment minted Rs. 5.21 crores in first 2 days of its release and went on to collect Rs. 30 crores as its lifetime collections at the Indian boxoffice. After its prequel, it’s the time for Sardar Ji 2. The makers became enthusiastic after the success of last year’s release and decided to go for the second installment. It is going to be interesting to see how much it collects in its entire run period. In the meantime, Diljit is enjoying his success time in the Bollywood career, especially with his latest Hindi movie ‘Udta Punjab. It opened to a humongous response in India especially in the North part of the home nation. However, with the start of the second week, Udta Punjab has got new and many competitors which are affecting its earnings. 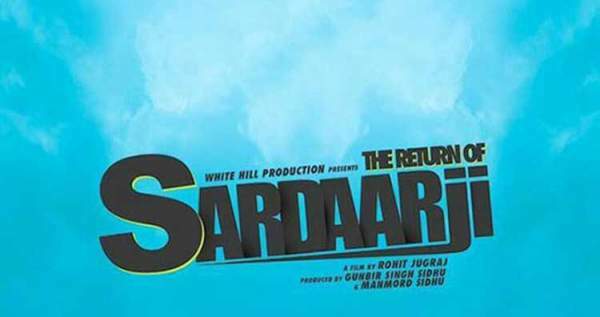 In the Punjab, it has got a huge competitor in the form of Diljit’s new film ‘Sardar Ji 2’ itself. Both the films are running on houseful shows in the home state. It will be too early to predict which one will dominate the other in Punjab itself. But, on the whole, it’s Diljit Dosanjh who will enjoy whichsoever out of the two films shine at the BO. Stay tuned to The Reporter Times for latest movie news and all other Entertainment industry and celebs’ updates. Don’t forget to share it with your online friends. BTW, how much do you think it will earn?